We have an opening at Housmans Bookshop for the role of Evening Events Host. The primary role of the events host will be to act as a host at our evening events. This will involve welcoming guests, introducing speakers, moderating Q&A sessions, and helping with other tasks required to run the shop during an event. Confidence with public speaking and audience interaction is an essential skill for this role, and some experience of this is required. An awareness of, and an interest in, the political profile of the shop and the types of events we host is also essential. Familiarity with the book trade and/or a background in some area of radical campaigning is desirable. Normal working hours for evening events will be 6pm-9pm. Housmans operates wage parity, and we are a Living Wage employer. The hourly rate from April 1 2019 will be £11.10ph. As part of the interview process, shortlisted candidates will be asked to help out at an evening event and to introduce the speaker and moderate the q&a (if appropriate). You will be paid for this. This is a part time position for a minimum of 3 evening events each month at 3 hours each (6pm – 9pm), a total of nine hours per month, plus an additional three hours of preparation time each month, to become familiar with the topic being discussed. It would suit someone working part time, studying, or looking for additional evening work, but this is not a short-term post – we would ideally like somebody who would like to make a commitment to the shop. The majority of the events will be on Wednesday evenings, but some may be on other nights. You will receive the programme at least one month in advance (i.e. by 1st October for November events). There is scope for additional hours as part of this job, both providing additional cover in the shop during regular hours, and working at book stalls outside of the shop. We would welcome an applicant who would like to participate in arranging and staffing book stalls at conferences, fairs, etc. But these are not guaranteed hours, and there is no obligation for the candidate to commit to any extra activities outside of the 12h/month post: this will not be a factor in consideration of your application. To receive more background about the shop, a full job description, and information on how to apply, please e-mail shop@housmans.com with the subject line “HOUSMANS EVENT JOB 2019”, and we will send the necessary documents through to you. Phone and in-person enquiries cannot be processed. Deadline for receipt of applications is midnight on Monday 6th May, with a view to interview in early March. On Friday 8th of March Housmans bookshop will be closed and staff will be taking part in the global Women’s Strike for the second year running. In 2017 and 2018, the strike took place in over 50 countries, with millions of people taking to the streets in support. Mobilisations will take place in seven UK cities this year, including a range of protests and events across London. Although it’s still happening on a much smaller scale in the UK, hopefully we can all help to grow it in subsequent years. Join us to celebrate the 45th birthday of Switchboard, a pioneering support organisation that began in the rooms above Housmans Bookshop. A presentation and panel discussion on the history of the organisation will be followed by continued conversations over refreshments. Switchboard was founded in March 1974 as the London Lesbian and Gay Switchboard, providing help and information to London’s gay community, particularly in the aftermath of the partial decriminalisation of male homosexuality in 1967. In the 1980s, Switchboard was the leading source of information on HIV/AIDS, with some of Switchboard’s volunteers amongst the founding members of the Terrence Higgins Trust. 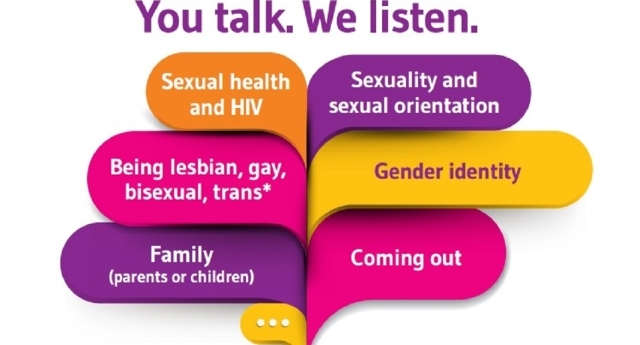 Switchboard rebranded to its current name in 2015 to emphasize inclusion for persons of all sexual orientation and gender identities, and that its services are not limited to London. Today, it has expanded considerably to more than 30,000 callers each year, and now also provides support through email and instant messaging. Switchboard provides a listening service for people to discuss their feelings in an impartial and non-judgmental way, as well as information and advice for going out in London and the UK. Switchboard also operates an internet database of LGBT+ organisations in the UK known as “queery”. From Saturday 26th January we shall be putting out for sale the library of Bernard Franks, very kindly donated to Housmans by his estate. The collection is primarily made up of Marxist and, often rare, historical tomes. Bernard was self-educated and wrote on many subjects, including a lengthy work on the French Revolution (there are many books on the Revolution in his collection). His comrade Phil Edwards has written more about his life below. As ever we endeavour to keep the prices of such books as cheap as possible – the vast majority are on sale at £1, while a few are at £3 and £5. The books are available from our second-hand basement. Here is a brief speech on Bernard Franks by Phil Edwards ( comrade from East London WRP and Trades Council Secretary from 1991 -6) . I would like to say a few words about Bernard’s long political history. I find this particularly hard having only weeks ago said goodbye to another of our comrades, Martin Westwood, and to my wife in September. He was a much loved friend and comrade to all of us who knew him as a member of East London WRP during the 1970’s and as a delegate to Tower Hamlets TUC in the 1990’s until his health declined in later life.. Both Norman Harding who worked at the Party premises in Clapham and Dave Temple, secretary of the Durham miners union during the miners strike and after, commented on how friendly Bernard and Katrina’s household was on their arrival in London. Dave had just joined the SLL ( Socialist Labour League ) at the age of 19. This was the larger Party which preceded the WRP and which had a large section of Young Socialists inside the Labour party before their eventual expulsion. Dave was a shop steward in 1970 at a meeting where another steward sat down and propped up a booklet in front of the management entitled “The measured day Work and Productivity Deal Swindle” . How it Works and How to Fight it” . It was written by Bernard Franks. That document was pivotal in recruiting to the SLL and in the formation of the All Trade Union Alliance which played a role in intervening in the miners’ strike of 1973 which eventually brought down the Heath Government. I was reminded at a recent lecture and discussion on the unofficial women garment workers strike in Leeds in 1970 of how volatile that period was and how much it must have impacted on Bernard who was in his 30’s and well versed in trade union activity. Everything he wrote, as his comrade Bridget from Australia reminded me was thoroughly researched. He wrote pamphlets on the docks and containerisation which won many working class comrades to the Trotskyist movement in Britain at a time when it was making an important contribution to working class struggles and had a clear theoretical perspective. Bernard was born in 1937 and spent some of his childhood from the age of 3 living with his Swiss grandfather and grandmother. He had that in common with my late wife Jill who was adopted at the same age .His Grandfather anglicised his name from Jean Frank Tejal to Jean Franks so that it could be easily pronounced. When in later life Bernard moved to Kentish Town he met Katrina who convinced him to take two years off of work to study communist literature. He read Marx, Engels, Lenin, Trotsky, Rosa Luxemburg, Ludwig Feuerbach and a mountain of books many of which we discovered again days ago sifting through his huge collection. Bernard was self educated and he read and wrote copious notes about a wide range of subjects including politics, social, economic and working class history as well as philosophy, ancient history, psychology, the theatre and much else. I remember proofreading Bernard’s book on the French revolution and I know too that he wrote extensive notes on the welfare state and even on the Bible and the Koran. He would keep Jehovah’s witnesses on the doorstep for hours debating materialist philosophy with them. It was only recently, however, that I rediscovered some recordings of interviews conducted by my late lamented wife Jill who passed away in September, and Bernard. Bernard explained to her how he had joined the Communist Party only to fall out with comrades over Stalin’s so-called ‘peaceful road to socialism’ . They ha said that Lenin was out of date now. Bernard encountered the SLL at ULU but as a trained technician felt a bit lost in the EETPU which the Party had instructed him to join as he knew little about electrics. Nevertheless he joined the workforce which built the Barbican in the 1960’s. He then became senior shop steward for the GLC in the 1970’s. He negotiated with management with a hidden recording device which he used on at least one occasion to prove what they had said in a previous meeting. On other occasions he searched their waste paper bins to discover what they were up to, discovering a letter proposing to sack half the workforce of electricians mates from the GLC. He shocked managers at a public meeting where he revealed their plans, thus delaying them for several years. Bernard had a keen interest in mental health issues and especially with R.D. Lang’s theories. He was very supportive of Gerry Healy’s son who had some mental issues and hung around the print shop playing his flute. He also frequented folk clubs in Hampstead and often exchanged pleasantries with the backing band for Long John Bawldry, the Partisans, led by Rod Stewart and Elton John. He encountered many folk artists who were also members of the Communist Party and included Ewan McColl and Peggy Seeger. Bernard played the banjo which was still in his room last time we looked. He said in one of his interviews that he wanted his books to be redistributed and read. In accordance with his wishes comrades picked up his books and sent the majority of them to Housman’s who will be holding a special day for Bernard with reference to his life and they will also be selling his books. Bernard was especially keen that people read his notes and books on the welfare state which is now threatened with destruction . Bernard was a man of many talents but above all he was a dedicated and principled socialist who believed that through its political emancipation the working class would eventually rid itself of the scourge of capitalism and of the threat it presents to the very survival of our planet and of our species. He will be sadly missed by all of us but never forgotten in our hearts. Drop by to meet peace activists and find out about current peace campaigns. Café, live music, films, books, stalls, with children’s activities led by Woodcraft Folk. All welcome. Bring family, friends, colleagues. Join Arachne Press in celebrating the launch of An Outbreak of Peace Stories and Poems in response to the centenary of the ending of WWI. After all the commemorative works of art over the past four years, we felt it was important to reflect on what comes after – an outbreak of peace, and what that meant to the combatants and those left at home. This wide-ranging collection brings together stories and poems from many countries, on both sides of the 1914-18 conflict, finding their inspiration in many wars and their endings; together with stories and poems which are not about war at all, which is as it should be. and the name and goodwill. It is /essential/ that Board members have a commitment to pacifism and nonviolence. The Board meets four times a year (currently on Saturdays) at 5 Caledonian Road. Trustee positions are non-executive and remunerated on an expenses only basis. To apply: please send a letter expressing your interest and experience with contact details. For the second year running Housmans has a writer in residence. Here’s Eleanor to explain what she’ll be up to…. I’m honoured and delighted to be the Housmans Writer in Residence this year. I can’t wait to bring more writing workshops and live literature events to London’s premiere radical bookshop and den of shameless troublemakers. Every fortnight I’ll be writing on site – so come and say hello, talk poetry, bring me happy tales of the outside world. The first Monday of every month we host Cuckoo New Writing – an experimental writing group, where we throw words together and see what sparks or enormous messes they make. If you’re interested in getting involved, don’t hesitate to enquire. I’ll also be running poetry workshops for all levels – if you’ve never picked up a pen to poem before, there will be something for you. Plus, keep your eyes peeled for more upcoming events showcasing the best and brightest in new writing. A little about me – I’m a prize-winning poet, writer and journalist, formerly of the Barbican Young Poets programme. I’m a former artist in residence at the Centre for Recent Drawing. Three Drops, the Poetry Society, Keats House, the Poetry School, and the Barbican. I’m running the poetry podcast Bedtime Stories for the End of the World. I’m also the online editor at Red Pepper magazine and a senior editor at Novara Media. Shiny copies of my zine SWING are available in the poetry section at Housmans, and my first pamphlet is coming out this year. Housmans would like to thank the family of Doreen Massey for the donation of a significant part of her personal library. Doreen was known for her works as a radical geographer, feminist, theorist and political activist, admired worldwide for her thinking on space, place and power. The books donated from her library, many heavily annotated, reflect those key interests, and also included some wonderful fiction titles. As ever with such donations, we are always keen to makes these books available as cheaply as possible, so all books have been priced at either £1 or £3. The books will be available from Housmans Second Hand Basement from Thursday 29th March, with additional titles put out after Easter on Tuesday 3rd April. A final tranche of her fiction titles will be made available towards the end of April. We would like to point out that academic archivists have already looked through her library and secured titles of particular significance. Most of her books will be found on the central trolley in the second hand basement, but also within the categorised shelves. Housmans is a not-for-profit shop and donating books to Housmans is essential to our survival. If you have any books you would like to donate please email nik[at]housmans.com. We will try and arrange collection of books from any location. No one deserves to be spied on! We all have a right to campaign for change without fear of state abuse. Police Spies Out Of Lives is a campaigning support group working to end the sexual and psychological abuse of campaigners and others by undercover police. Police Spies Out Of Lives support people deceived into intimate relationships by undercover officers. Together we fight to expose this immoral and unjustified practice, and the institutional prejudices behind these abuses. These postcards illustrate the kind of people who found themselves the targets of the disgraced #spycops units, and some of the campaigning going on at the time. The full set of eight postcards is now available from Housmans, in-store and also online. Each pack contains 8 cards, with 1 of each design. When I heard of Heathcote Williams’ death on Saturday evening, I thought, He’ll make something interesting out of that. Really looking forward to hearing what he’s got to say about death. And then, some hours later, the slow burn of loss. He’s gone! I met him through the No Glory in War campaign, and had known himfor only a few years, but was privy to his wit, insights, impeccable manners and a few lovely high teas at his home in Oxford. This cultural ‘Renaissance man’ fused art and politics like no-one else, and scratched his creative itch with whatever was required; the ink of a play, story or poem, or paint on canvas. His principal commitment though, was to the written word, and works like Whale Nation, AC/DC, The Local Stigmatic, are classics on environment, sanity and fame; referring to fame as ‘the first disgrace’. Hisdocumentary style poems contain writing of grace and clarity, and he’ll be remembered as one of our great writers of visionary dissent in the tradition of Blake and Shelley. A progressive, not a mystic, Heathcote was one of first supporters of the newly revived Left Book Club, offering this as a public statement in 2015. Nothing from Heathcote was straight forward polemic. There is beauty in his language, and joy at the idea of how things could be, like E.M Forster before him, working at the universal yes. He had a hawk like eye on corporate greed, cant, hypocrisy, war making and the cultural/political soil from which they grew. I felt that, even in his old age, he was like Christ overturning the temple tables, but without religion, and if writers had patron saints, I’d nominate him. He’d object, of course. The term ‘life affirming’ has become a cliché, and heaven forbid (there’s another one) I should use one in an obit’ for Heathcote – but it will have to do, as that’s exactly what he was. I shall cherish those high teas of his later years. To help celebrate the publication of the new Freedom Press Kropotkin essay collection ‘Kropotkin: Anarchism & The State’ (for which we are having a launch event – see events programme here http://www.housmans.com/events.php ), we’re doing a little competition! Send your answer by email to nik@housmans.com and please put Kropotkin Competition in the subject field. A winner will be chosen at random by Monday 26th July.